MIAMI (Legal Newsline) - The counsel of record in two major settlements against mortgage lenders have filed two separate lawsuits in a Florida federal court, arguing that two California lawyers who did some work on the deals have requested an “outrageous” share of the fees. Arkansas law firms Owings Law Firm, Wagoner Law Firm PA and Walker Law PLC filed two, seven-page complaints for declaratory relief in the U.S. District Court for the Southern District of Florida Sept. 11. The defendants in each are listed as California attorneys Sheri L. Kelly and Barry Himmelstein. The plaintiffs filed the complaints in the Southern District of Florida because the disputed attorneys’ fees were awarded by the court in Fladell et al. v. Wells Fargo Bank, N.A. et al. and Hall et al. v. Bank of America, N.A. et al. 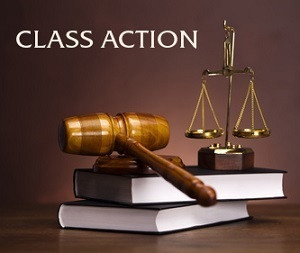 Both class action settlements, reached in 2014, involved lender-placed insurance, or LPI, which is an insurance product that is placed on homeowner’s property to protect the borrower and mortgage lender when the homeowner’s insurance policy lapses, or when the homeowner does not maintain a policy that is acceptable to the lender. Pursuant to the homeowner’s mortgage contract, when an LPI policy is placed, the mortgage lenders pay premiums to the LPI insurer who writes the policy, and then the lenders charge the homeowner’s escrow account for those premiums. In both Fladell and Hall, the plaintiffs alleged that when a borrower was required to have insurance for his or her property pursuant to a residential mortgage or home equity loan or line of credit, and evidence of acceptable coverage was not provided -- i.e. when the insurance policy did not exist or had lapsed -- the Wells Fargo and Bank of America defendants would place insurance in a manner such that the lenders allegedly received an unauthorized benefit. The Fladell plaintiffs, in particular, alleged the Wells Fargo defendants did so primarily to receive “kickbacks” in the form of commissions. In both cases -- despite settling to save on court costs -- the mortgage lenders deny the plaintiffs’ allegations and assert their actions are fully authorized by law. In Fladell, the court awarded class counsel attorneys’ fees and expenses of $19 million. In Hall, attorneys’ fees and expenses totaled $16 million. Kelly was chosen to serve as local California counsel in similar cases against Wells Fargo in the U.S. District Court for the Northern District of California. Meanwhile, Himmelstein was an attorney who Kelly brought into to assist her in connection with a petition to be appointed class counsel in one of the Northern District of California cases. He also assisted her as local counsel in one of the California cases. As the Arkansas law firms noted, the cases ultimately were not successful and all claims raised in the cases were foreclosed when the Florida federal court approved the Fladell settlement. However, given Kelly and Himmelstein’s involvement in the California cases, the firms allowed them to assist with some document drafting relating to the allocation of attorneys’ fees. According to the firms’ complaint, Himmelstein also participated in settlement negotiations in Florida in connection with attempts to resolve the firms’ fee dispute with other class counsel, as well as his fee claim in an unrelated class action case against a different bank. “The agreement with Defendant Kelly was to pay her a local counsel fee of 10 percent of any attorneys’ fees obtained in the two California cases. Plaintiffs later informally agreed that she could play a more active role in the California cases, and Plaintiffs would have agreed to pay her some amount in excess of the traditional 10 percent local counsel arrangement had either of the California cases against Wells Fargo succeeded,” Owings, Wagoner and Walker allege. “Himmelstein’s rights to compensation in the California litigation were derivative of Kelly’s and Plaintiffs never had a separate agreement with him in connection with the California litigation. But the defendants argue they are entitled to a portion of the fees awarded in Fladell based on their work in the two California cases and for their help in drafting the post-settlement pleadings in the settlement. The plaintiffs argue that Kelly and Himmelstein, in the Hall settlement, did not serve as counsel of record, nor did they do any work on the case prior to the time the case was settled. Their role was, again, to help the firms with some document drafting relating to the allocation of fees in Hall. As a result, Kelly and Himmelstein argue they are entitled to a portion of the fees awarded in the settlement. Owings, Wagoner and Walker again agree the defendants are entitled to fees on a quantum meruit basis. Quantum meruit determines the amount to be paid for services when no contract exists or when there is doubt as to the amount due for the work performed but done under circumstances when payment could be expected. Often, if a person sues for payment for services in such circumstances the judge or jury will calculate the amount due based on time and usual rate of pay or the customary charge, based on quantum meruit by implying a contract existed. The Arkansas law firms are asking that the Florida federal court enter judgment in their favor, declaring the rights of the parties to allocation of attorneys’ fees awarded in both settlements, and to enjoin the filing or prosecution of any action relating to the fee disputes.